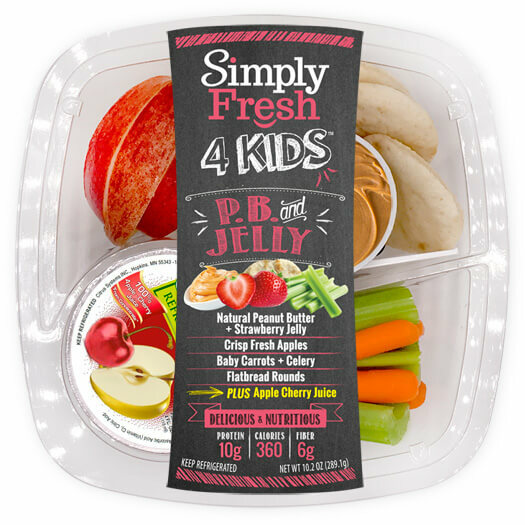 No need to rack your brain thinking about what to pack in your kids’ lunch boxes thanks to Simply Fresh 4Kids™, a super convenient, high quality complete meal. Choose from four different meal packs that feature nutritionally balanced lunches or snacks for your hungry mini-me. Simply Fresh knows that kids want their favorite flavors, such as Turkey Breast & Cheese Slider with baby carrots, celery sticks and ranch dressing, crisp fresh apple slices plus an apple cherry juice cup. These packs are made to “grab and go” for home, school, sports, and fun! The Simply Fresh line by FiveStar Gourmet Foods is versatile in ingredients, combinations, and uses. Perfect for parents on-the-go! In addition to kids’ meals, Simply Fresh has you covered all day long. No time to prep your own lunch before leaving for work? No problem, Simply Fresh has got ya! The Simply Fresh Salads™ line offers a whopping twelve salads from classics like Ultimate BLT Salad with Chicken (and Blue Cheese Dressing) to Asian medleys like the Crunchy Thai Style Salad with Chicken (and Spicy Peanut Dressing). Don’t feel like a salad? 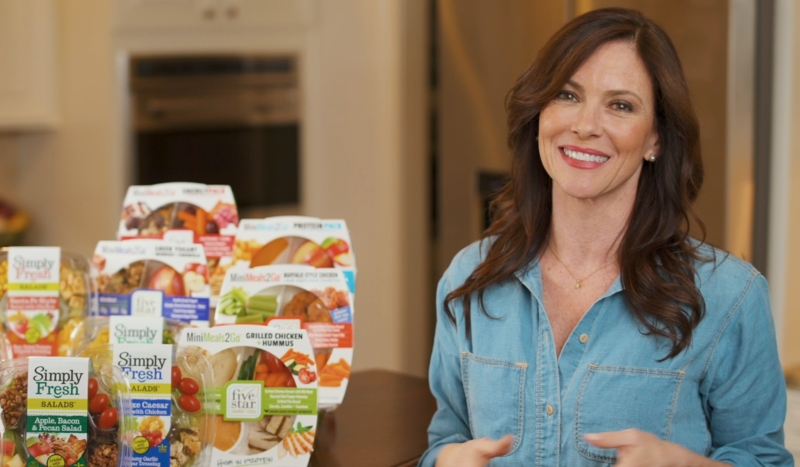 Power down one of our high protein MiniMeals2Go, a FiveStar customer favorite. Your lunch can become an exploration of flavors. Rushing to get a balanced dinner on the table? If you’ve already got a main dish in your slow cooker, say a savory roast that’s been juicing for most of the day, but don’t have time to prepare side dishes, you’ll want to explore the Simply Fresh Kitchen™ options. Try the mouthwatering Rosemary Roasted Potatoes with Romano Cheese & Olive Oil, one of four signature Steakhouse Classic Sides. If you want a richly flavored veggie option, their Balsamic Broccoli with Brussels Sprouts combines crisp, fresh broccoli and Brussels sprouts with toasted almonds, golden raisins and a velvety, sweet apple cider balsamic reduction. Ready to heat, eat, and impress! With so many ingredient and meal options, you may just want to have your own Simply Fresh buffet for a fun night of mixing and matching. You can’t go wrong with the freshness, flavor, quality and convenience from FiveStar Gourmet Foods!